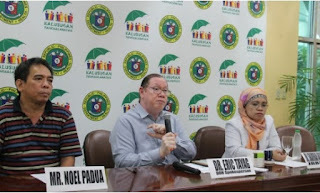 The Department of Health (DOH) announced on Tuesday, August 16, that it is giving away Alteplase, an expensive stroke medication, at select government hospitals. This is part of the agency's celebration of Brain Attack Awareness Week. DOH has allocated ₱30 million for the expensive stroke medication. Originally priced at ₱80,000 per vial, the agency got it for only ₱30,000 per vial. That represents a huge 62.5% discount. At ₱30k per vial, some people might think it's still so pricey. Not so, when you learn more about how the medication works. Alteplase is classified as a tissue plasminogen activator. As such, it helps greatly in breaking down unwanted blood clots. According to Health Secretary Paulyn Ubial, it is "ideally given in the first 3 hours upon onset of acute stroke." This emergency, life-saving stroke medication, according to drugs.com, is used to "improve recovery and reduce disability in certain patients who have had a stroke". Only patients with ischemic stroke or those with blocked blood vessels, will benefit from Alteplase, according to Dr. Eric Tayag, the spokesman and assistant secretary of DOH. The DOH said that 2013 data show that about six out of 10,000 Filipinos die from stroke every year. Stroke is the second leading cause of death in the Philippines, after ischaemic heart attack. About one-third (32%) of all stroke survivors also end up permanently disabled. For stroke patients brought to private hospitals, they can also have the chance to avail of Altaplase for free. Private hospitals can write to DOH hospitals and request for the stroke medication. DOH will grant the request but the private hospitals have to assure DOH that the medications will be given for free to eligible patients. For inquiries the DOH now has its own hotline: (02) 711-1001 to 02.